North Korea said on Sunday it has detained another American citizen for suspicion of acts against the state, which if confirmed would make him the fourth U.S. citizen to be held by the isolated country amid diplomatic tensions. Kim Hak Song, who was detained on May 6, worked for the Pyongyang University of Science and Technology, the North’s KCNA news agency said. “A relevant institution of the DPRK detained American citizen Kim Hak Song on May 6 under a law of the DPRK on suspension of his hostile acts against it,” KCNA said. DPRk is short for the Democratic People’s Republic of Korea, the North’s official name. The volunteer faculty of PUST, many of whom are evangelical Christians, has a curriculum that includes subjects once considered taboo in North Korea, such as capitalism. The college is an unlikely fit in a country that has been condemned by the U.S. State Department for cracking down on freedom of religion. No further details were available about the circumstances related to the arrests of the two men associated with the college. 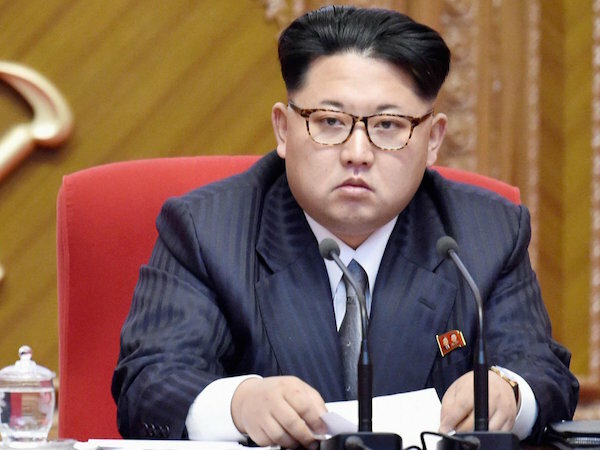 A spokesman for the Pyongyang University of Science and Technology was not immediately available for comment. North Korea has in the past used detained Americans to extract high-profile visits from the United States, with which it has no formal diplomatic relations. The other two Americans already held in North Korea are Otto Warmbier, a 22-year-old student and Kim Dong Chul, a 62-year-old Korean-American missionary. Warmbier was detained in January 2016 and sentenced to 15 years hard labour for attempting to steal a propaganda banner. Two months later, Kim Dong Chul was sentenced to 10 years hard labour for subversion. Neither has appeared in public since their sentencing. North Korea is a country where you don't want to mess up. If you appreciate your freedom that is.